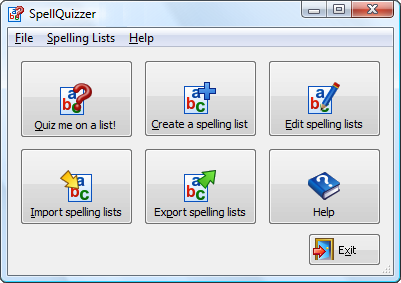 SpellQuizzer is a spelling program that helps kids learn their spelling and vocabulary words. 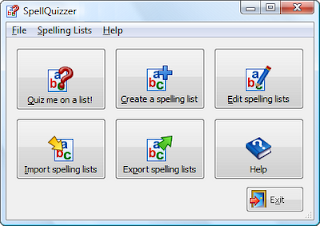 Using SpellQuizzer you can enter the child's weekly spelling list and make audio recordings of the words in the list. The software then quizzes the child, playing each word back to him one at a time, checking his spelling as he types in the words. SpellQuizzer corrects him when he types in a word incorrectly, and re-quizzes him on any words he missed once the first pass is completed. Spelling software helps students learn their spelling lists more quickly than traditional manual practice, such as writing down words by hand, because it is less of a chore for the child. Children today associate computers with fun and writing on paper with work. As such, they are more eager to practice their spelling words using spelling software like SpellQuizzer, than the old way of practicing where they sit at a table writing down their words over and over again. You can make spelling practice even more fun for the student by recording amusing sentences in the spelling software, or using a funny voice when you record your spelling lists. Users can easily export and import SpellQuizzer spelling lists to share with other users - this makes it easy for members of homeschool groups to share their lists rather than everyone having to record their lists individually. 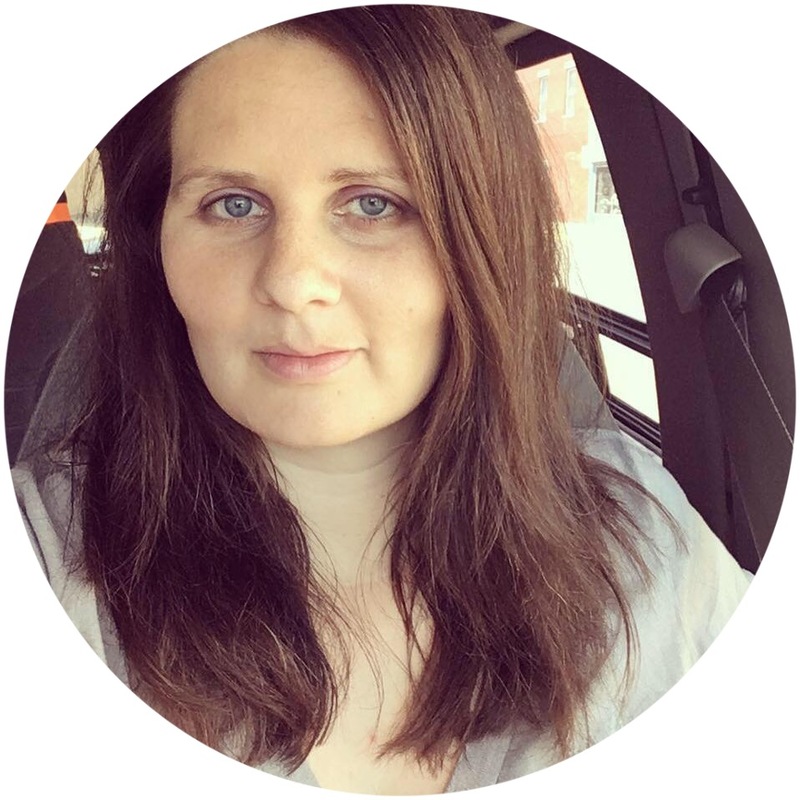 I tried the product out myself and I thought it was great - I can definitely see us using it in the future with our kids, especially since we are planning to homeschool. It would be great for public school students as well, though. You can create your own custom spelling lists so you would be able to input your children's spelling list from school or use it to go with virtually any curriculum. I love that you can create your own lists - I can see myself having a lot of fun coming up with silly sentences to go with the words. :) Or if that's not your cup of tea, the SpellQuizzer web site has pre-made downloadable spelling lists that you can download from their website. The SpellQuizzer website is super helpful - in addition to the many lists for school children, they also have ones for preschoolers and adults! One of the free lists is letters of the alphabet and I know that will be right up my son's alley. The online community forum they have set up looks great - you can share information and spelling lists with others or request support if you need help. I know there are several homeschooling mommas that read my blog and the SpellQuizzer website has a page specifically geared toward homeschoolers if you'd like more information about that. Check out the SpellQuizzer website to download a free 30-day trial of the program! - Follow my blog through Google Friend Connect or Networked Blogs. - Subscribe via feed reader or by email. This giveaway will be open until Friday May 7th (my birthday!) at 9 PM (EST). I will choose the winner via random.org and notify them by a blog post (probably posted that evening/Saturday morning) and email. After a winner is chosen, I'll send the winner's email address on to Dan and he'll send you the free SpellQuizzer license! Good luck! Sounds like a great product!! I am now your fan on facebook as real life moms I will be following you also on networked blogs too. Have a great Saturday. Hi Shaylynne. Just happened to check in to West Central homeschooling yahoo group and saw your post. Hope everything is going well for you. Thanks for the review for the spelling program. I will have to check it out. My son struggles with spelling, so I'm always looking for something new. Thanks again. Thanks for stopping by! Things are going pretty good. Cool program! I think being a good speller is very important. I think my son would love this too. I follow you on Twitter @36momma! I Subscribed via feed reader! I Follow your blog through Google Friend Connect!! Happy Early Birthday! What a great giveaway. I am a teacher for 7th and 8th grade special ed. My students learn best when using the computer and I can never find programs that will cater to their level.